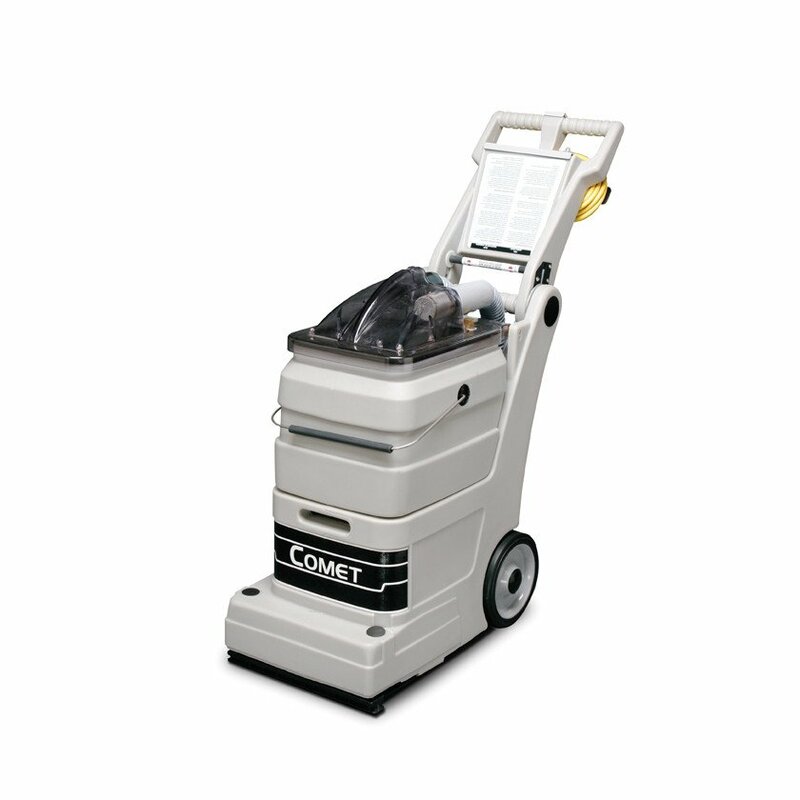 The Comet is a new low cost, self-contained carpet extraction cleaner with powerful brush agitation to clean carpets. It weighs only 18 kilos so it's light enough for anyone to handle, plus the compact body design and fold-down handle make it easy to transport and store. Remove two safety screws and the machine opens like a clamshell for fast service. 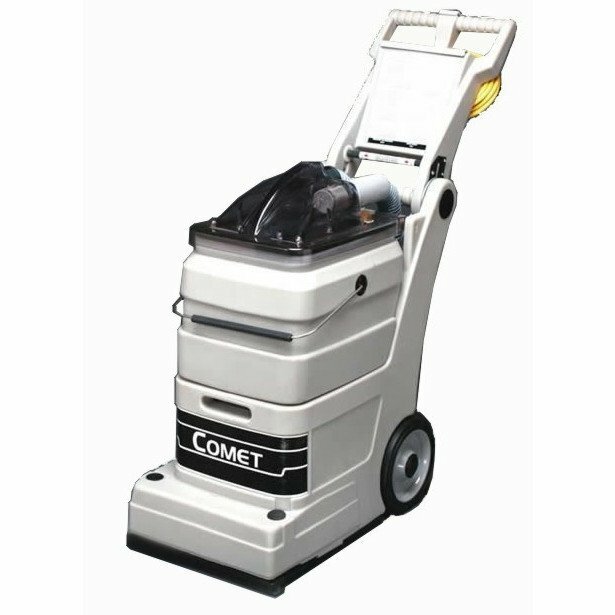 The Comet is small enough to clean in tight spaces and corners yet powerful enough to perform well in any situation. A revolutionary bladder design eliminates the need to pour solution into the machine. Simply fill the bucket, set it on the machine, close the lid and begin cleaning. No more spills or mess! The one on-off switch is designed for operation simplicity. Optional hand / upholstery tool. Patented lift-off bucket makes filling and emptying easy and convenient. Side extension cleans right up to skirting boards. Upright vacuum motor and diaphragm pump for longer life. Directions for use of defoamer.